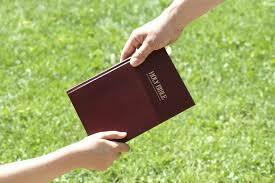 In this era of moral decadence in the society,many have forgotten that there is God,While many young chaps have not been able to meet up with the biblical injunctions of the Almighty just because they have lack access to the Holy book (Bible) or because they have failed to Seek for guidance from this aforementioned book. 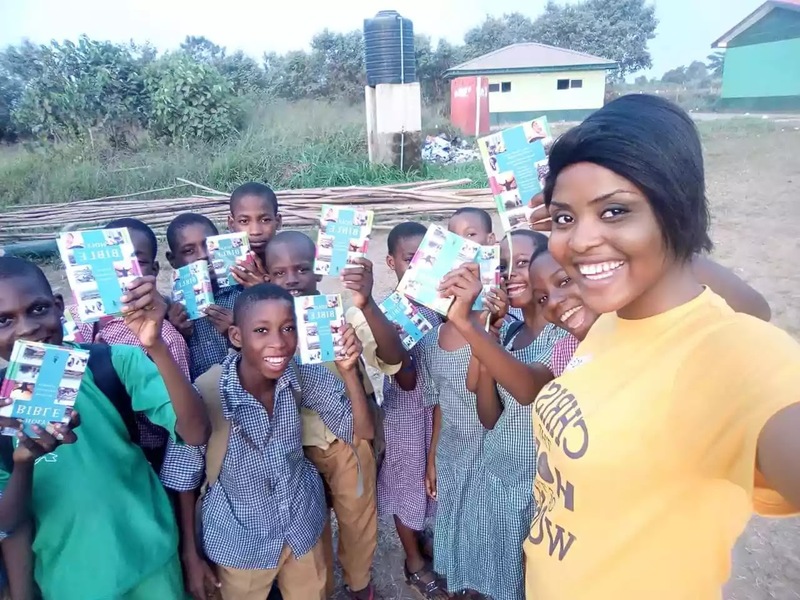 But a Young Nigerian Girl in her early 20s OGUIKE CHIDERA CYNTHIA rose to the occasion by investing in the lives of 81 Secondary school students through the distribution of 81 Holy Bibles. 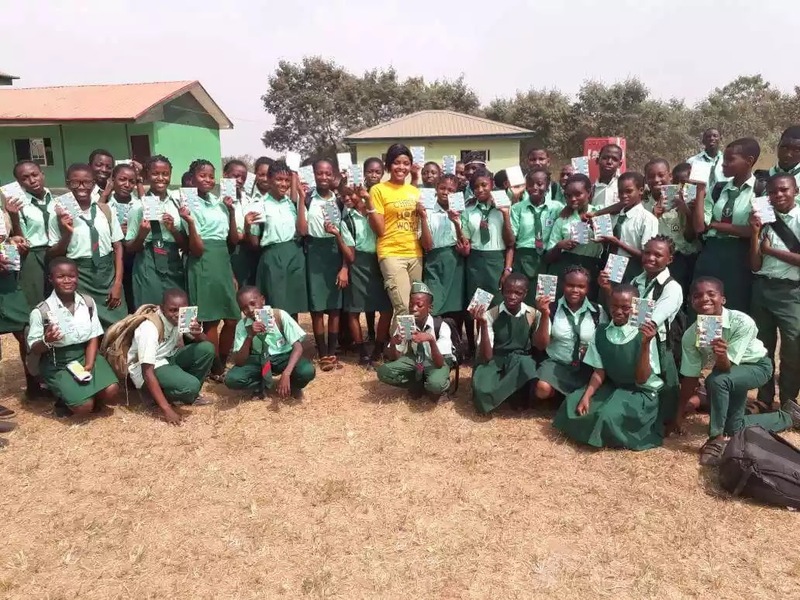 Chidera and recipients of the 81 bibles. TEXTS GOTTEN FROM HER FACEBOOK POST READS: "I return all the glory to God because he did it. 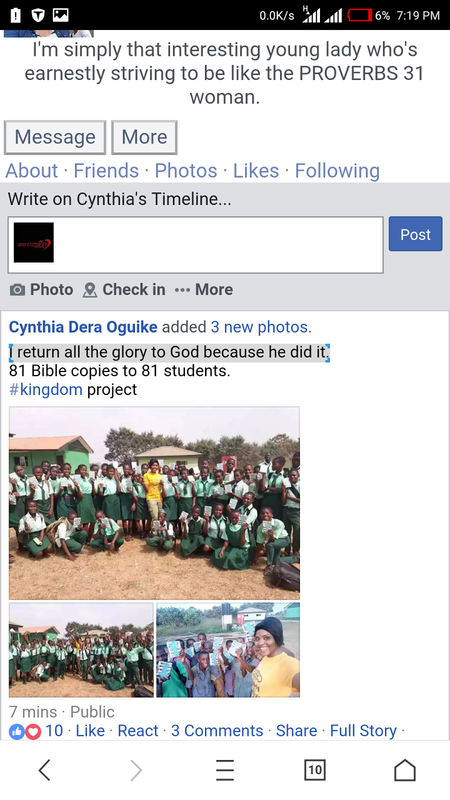 81 Bible copies to 81 students. #kingdom project." "Friends I really need your support On a project to provide Bibles for 50 students. 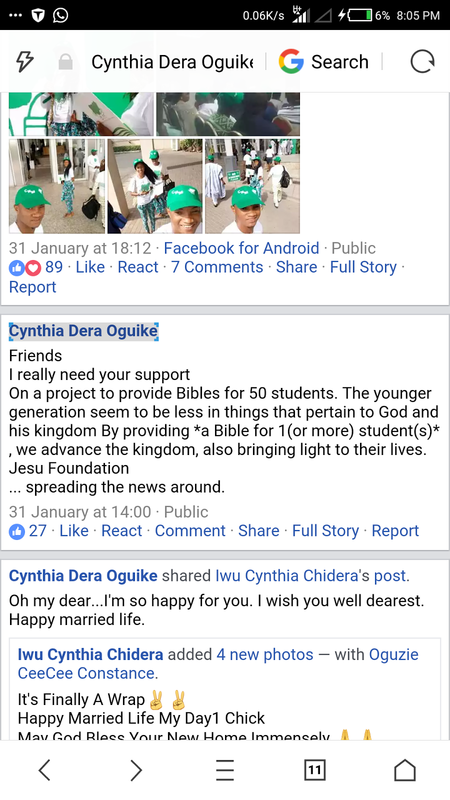 The younger generation seem to be less in things that pertain to God and his kingdom By providing *a Bible for 1(or more) student(s)* , we advance the kingdom, also bringing light to their lives. Jesu Foundation ... spreading the news around." 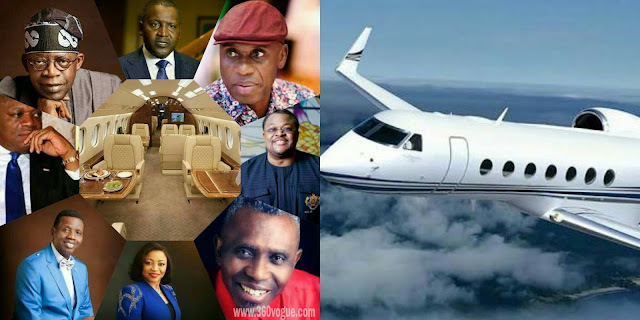 I see this as a welcome development and a trend that should be upheld,so as to draw our youths closer to God and make them better citizens of this Great Country. 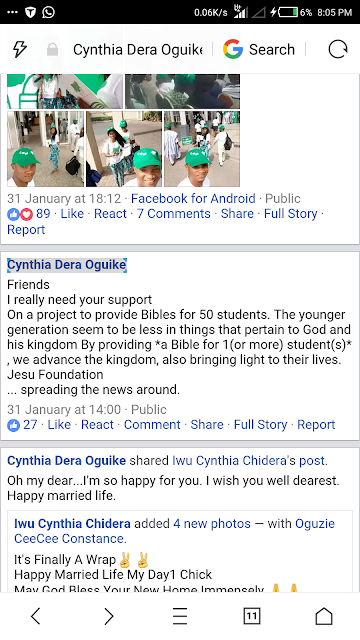 OGUIKE CHIDERA CYNTHIA needs to be ENCOURAGED. She is the definition of A SLAY QUEEN.